Although Hairstyler was ‘founded in 2009’, there is no mention of it as a company except for a website that doesn’t work at all and there are very limited examples of its product range anywhere on the internet. There is no way of telling whether this is a particularly reputable brand and was allegedly started by beauty professionals to ‘bring down the costs of professional hair equipment’ as stated on Amazon. The irony here is that this product isn’t particularly cheap at all. 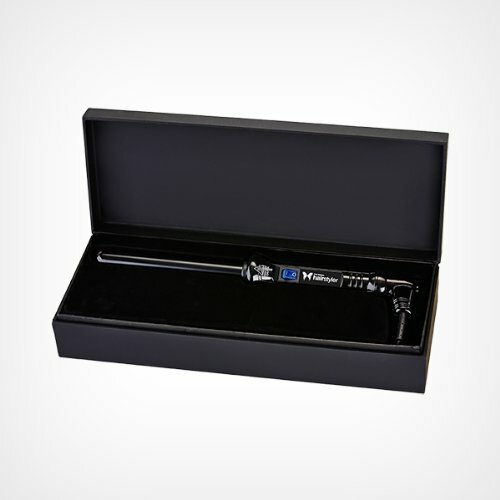 With an optional lifetime warranty, you’d expect this curling wand to be pretty impressive but, all that means is that they don’t expect it to break in the time they continue to make that particular product. Straight off, it doesn’t look particularly attractive and the ‘exclusive handmade gift box’ is just a normal box that you’d expect any hair appliance to be packed into. This doesn’t have variable temperature and is just an on/off situation which is not great if you have fine or delicate hair. Also, it sells itself as having a 230˚C top temperature but as you cannot vary it, this is really high for a lot of people’s hair – you may even be damaging your hair with such heat. There is also no auto shut-off feature which is a big no-no for some people. It has a 3 metre long cable which is quite a standard length and a 360˚ swivel connection which is always useful. The Tourmaline ceramic barrel does have a nice feel to it and it does give hair a bit of a shine but I’m not convinced it’s ‘nourishing’. At 25mm, this wand does give really nice curls very easily. There’s no cool tip at the end but the heat glove is a good thickness and protects your hand well. The curls last for a good time too and are so quick to create with the barrel heating up in around 10 seconds. If the heat was variable I’d be a lot happier about using the regularly but 230˚C for all hair types seems a bit on the hot side. This technically does what it says on the box in that it will curl your hair. However, without variable temperature, if your hair can’t handle the heat then there’s not much you can do and without an auto shut-off, you might not be too confident in it. It’s a very simple curling wand with a consistent width and nothing going for it that others don’t have. It’s around twice the price of BaByliss, TREsemme and Remington curling wands and has nothing to justify that, especially as it is supposedly designed to be affordable. 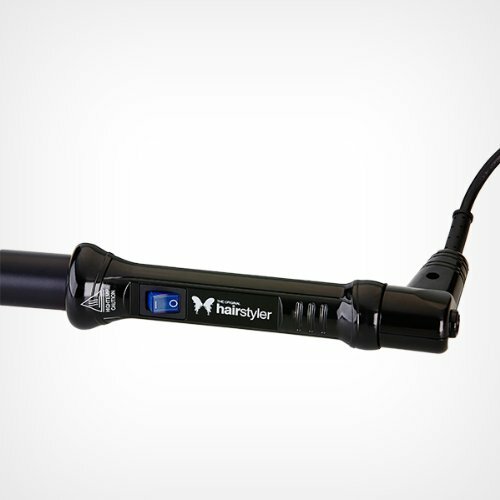 Ultimately, this curling wand is more expensive and not as good as so many others.